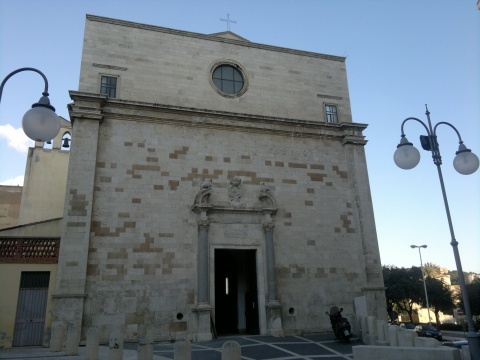 Saint Luciferus Church has a facade,divided into two level by a cornice: in the upper level there are an oculus and two rectangular opening, while in the lower, there is the front door, framed by two granitic columns. At the core of the facade, you can see the City's coat of arms; to the side, two statues with two dogs on the top,as symbol of Domenican order, who officiated the temple for a long time. The inside has only a nave, with a barrel vault and three connecting chapels.